jerkbot-1.9.24 This is a script suite that forms a bot system for jIRCii. Main features include: sentence learning/matching, inline response scripting allowable directly from commands on irc, a sizable collection of functional modules such as custom commands, quotes, weather, seen, wiki, news (and many more), an extensive help system, secure password storage, and quite a bit more. 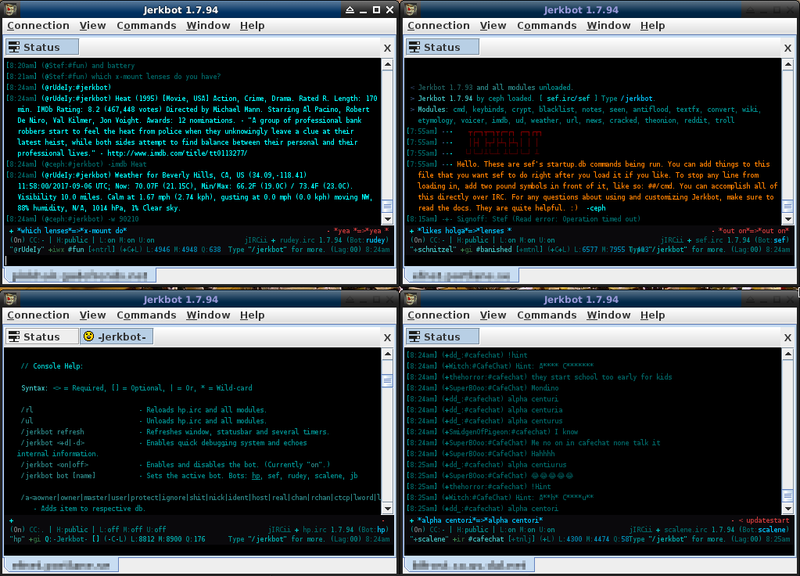 Default files can be found here, and this is a screenshot of 4 clients running.